Many pharmaceutical manufacturers provide therapies which allow for safe injections in a home setting using syringes, auto injectors and many other types of diabetic needles. It is very important that every person who injects at home safely disposes their needles or syringes in a container, and preferably an OSHA approved sharps container for proper safe disposal..
Our convenient, safe needle disposal systems (available in sizes ranging from 1-quart to 28-gallon systems) include disposal containers and a pre-paid shipping box for recycling. There are no contracts, minimum purchases or fuel surcharges. Simply choose your preferred size and purchase as needed – it’s that easy! Be smart and contain your sharps and needles after use. 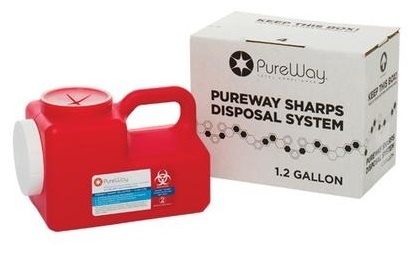 Sharps disposal containers now come with mail back options and can be shipped directly to your home. After an injection is complete, activate the safety feature for your auto-injector or safety syringe, if available, and quickly place your syringe or sharps needles into a sharps disposal container immediately. Keep this container in a safe place away from children and pets. Once full, simply use the prepaid shipping label to safely ship your sharps container for disposal. Do you have a collection of full containers already at your residence? 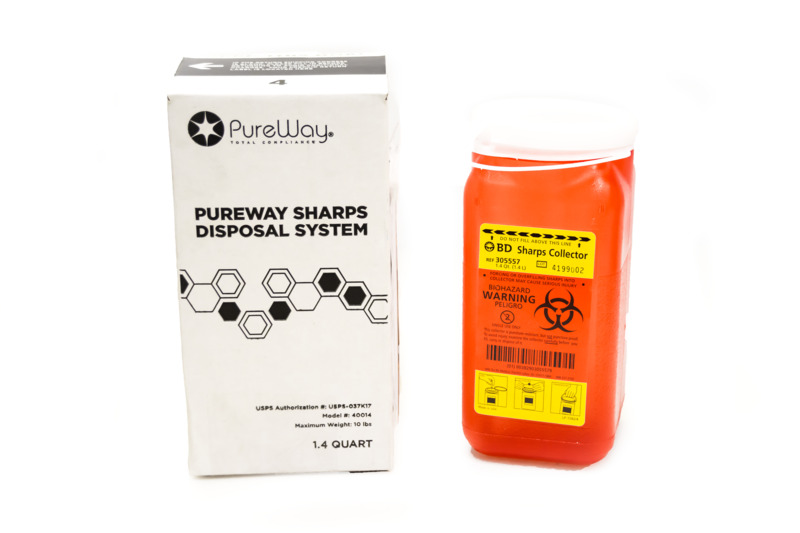 We recommend you order a collection bin system to safely container all your sharps and needle disposal containers. 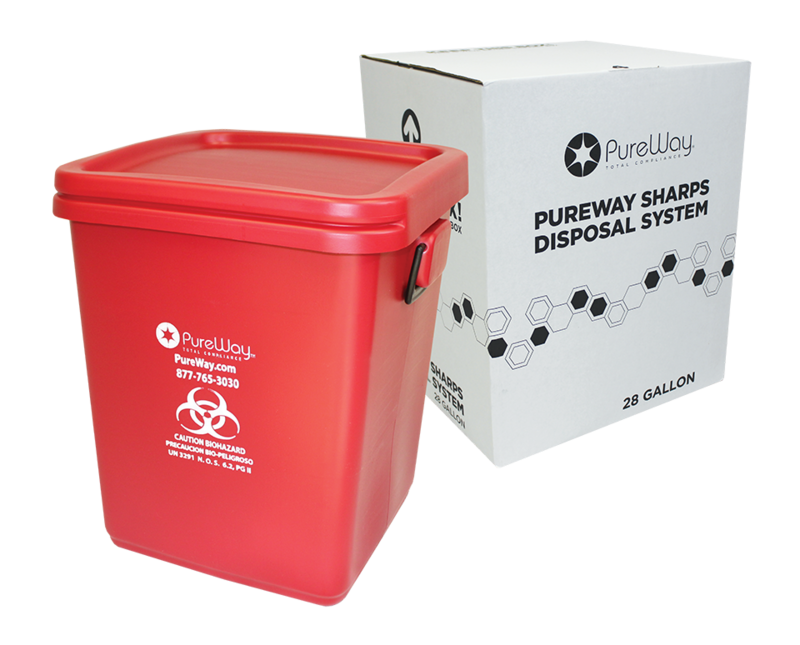 A collection bin mail back system can also be used to ship in your own full sharps containers when full. Follow the same process as the smaller systems and simply give the fully packaged collection bin system like a 28 gallon disposal by mail system to your regular mail carrier and all the sharps, syringes and diabetic needles will be shipped directly to a certified treatment facility for safe disposal.